Instead of serving as a backdrop to a room's design, today's carpets are stepping to the forefront. 2015 carpet trends have carpet supporting and enhancing a home's decor - in some instances carpet has even become the focal point of a design. What trends have we noticed at Indianapolis carpet store Kermans? Our design staff notes three clear tendencies in carpet buying today. Read on to learn more. Manufacturing capabilities for carpets have changed dramatically in recent years. Carpets used to be fairly limited to loop style or cut loop. Today's carpet styles include sculpted patterns, geometric designs, different yarn heights and more. The most popular textured carpets tend to be those that are soft to the touch while remaining durable for years to come. A good example are the popular frieze carpets - those with high and low loops and twisted fibers. These textured carpets also fit well in a range of design styles. If you have a more contemporary or modern room you might want to go with a more boldly sculpted pattern that brings in visual texture with animal prints, metallic fibers, floral designs or other natural patterns. Learn more about textured carpet. Another great way to add texture to your carpet is layering! If you have a good quality carpet already in a room but are looking to get more creative with the design, consider laying an area rug on top of the wall-to-wall carpet. Area rugs come in a variety of shapes and sizes and can even be custom designed to fit your space. Area rugs are a great way to take advantage of the texture trend! While some textured carpets also include subtle patterns, other carpets weave a pattern in bold fashion. Think deep violet leaves on a cream carpet... black swiss dots on a white carpet... zebra print carpets... the possibilities are practically endless. Where once people had to turn to area rugs to bring in a lot of color and design to their floor, now they can find just the style they are seeking in comfortable, insulating, wall-to-wall carpet. Graphic patterns are particularly popular and add a beautiful touch to any room. Learn more about patterned carpet. One of the most popular carpet brands at Indianapolis flooring store, Kermans is Mohawk Flooring. 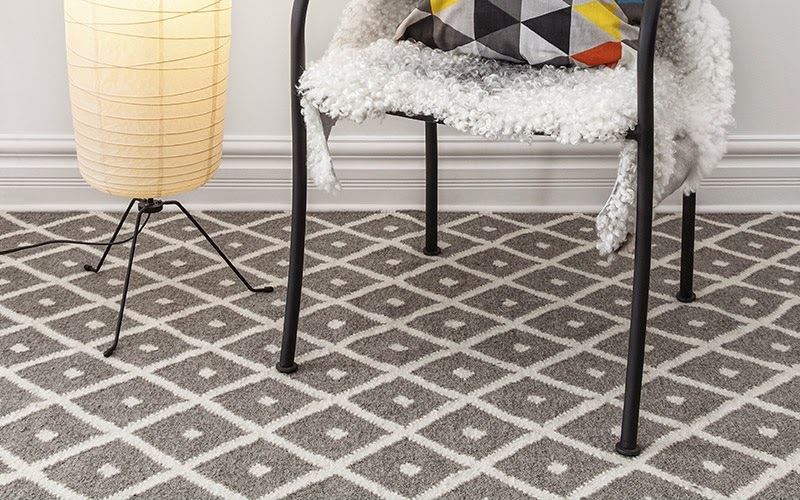 Mohawk carries a creative, stylish line of patterned carpets (and more). 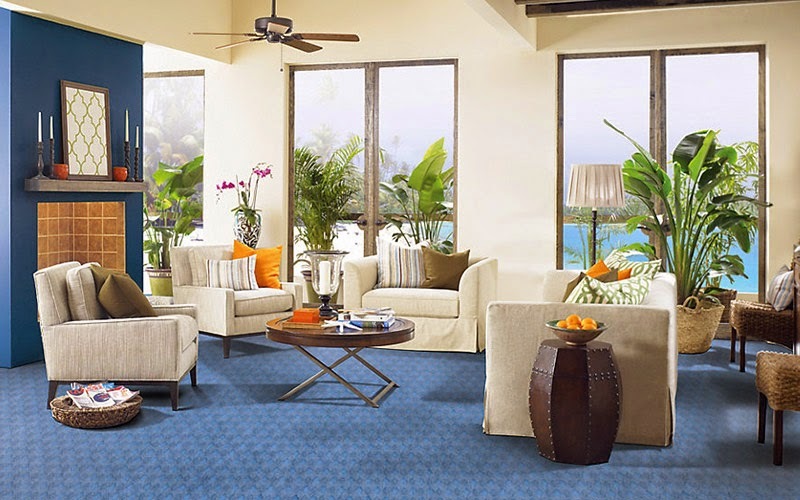 Check out their carpet trends for more fun ideas and ways to express your style. Find something you like? Now is the perfect time to buy one of Mohawk's creative, durable, beautiful carpets. This month Mohawk carpets are on sale! Learn more. Carpet manufacturers are taking great strides to becoming more environmentally friendly in the way carpet is made and the materials used to make it. Wool, sisal fiber and recycled nylon are just a few examples of natural fibers that make today's carpets better for the environment. These carpets are just as comfortable and, in many cases, longer lasting than traditional synthetic carpet. They are also healthier for your home's environment and a good choice to consider if you have allergies or asthma. Looking for more carpet inspiration? Check out our Pinterest board where we love to pin useful, creative and functional ideas for home flooring.